Today I have a review for you and I just really want to quickly write that this is not sponsored at all! Upon finding out that this item existed I googled it and was met with soooooooo many sponsored reviews, and sometimes that can be a little disheartening. Not that sponsored reviews are untrustworthy! Just that sometimes non sponsored can be nice to read too! Im really excited to be writing this because this is something im really excited about! I hope you enjoy the series! Can you believe its been a whole month since I did my HVV Mood box OCT post? Otherwise just continue letting your eyes read this blog post. . . . . I decided to be a little more adventurous with the colours by only clicking surprise me. As for my mood and occasion as the last box arrived at the end of the month I selected something that could work for the month of December, aka the Christmas month. I dont…have a boyfriends parents to meet….but I thought that that kind of style would go down well with family members too. A huge box of a slightly different colour!! I got so many Blink mints! Which is great because I got them last month too and found them good to give my brother to leave me alone >.> I just worry that maybe they gave me someone elses portion too? Who needs that many flavoured mints!? and a Liese hair product? Can you say -omg- again Ive been wanting to try out some of their stuff but I dont live in Japan so I havent had the chance. I have been completely spoiled by the HVV Team. 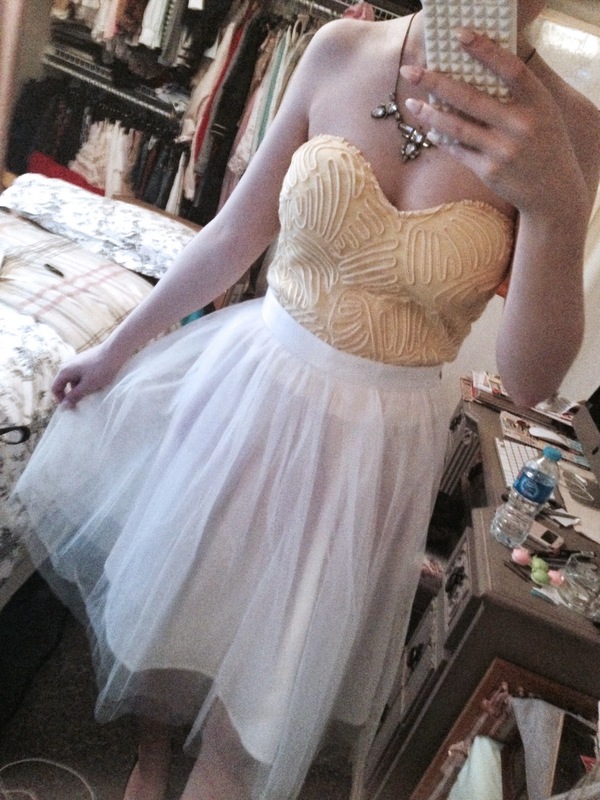 As for clothes; I got a strapless yellow top, a purple quilted bag (love!!) 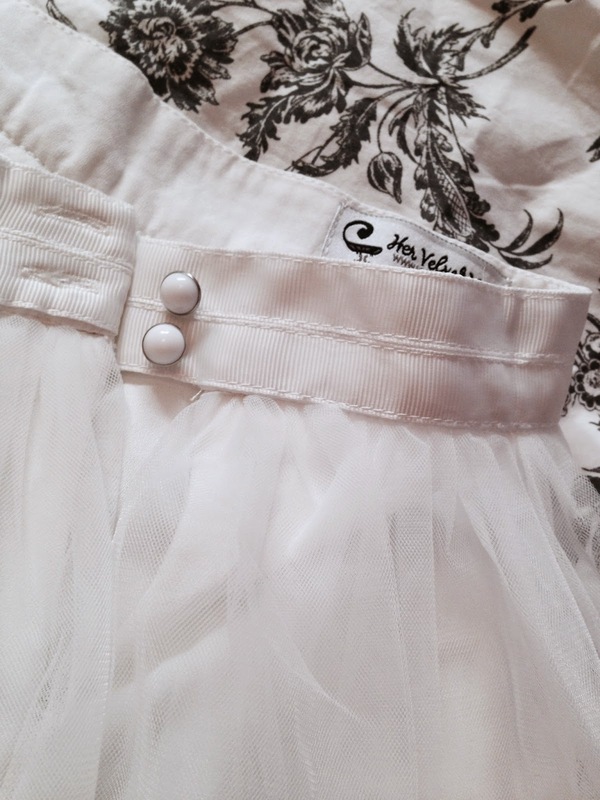 and a white flowy tulle skirt. I personally wouldnt wear a purple bag and a yellow top together but individually I love each item! I dont have enough yellow items tbh. The skirt isnt the most opaque so it would probably be good to mention that they also included some shorts! They really think of everything! 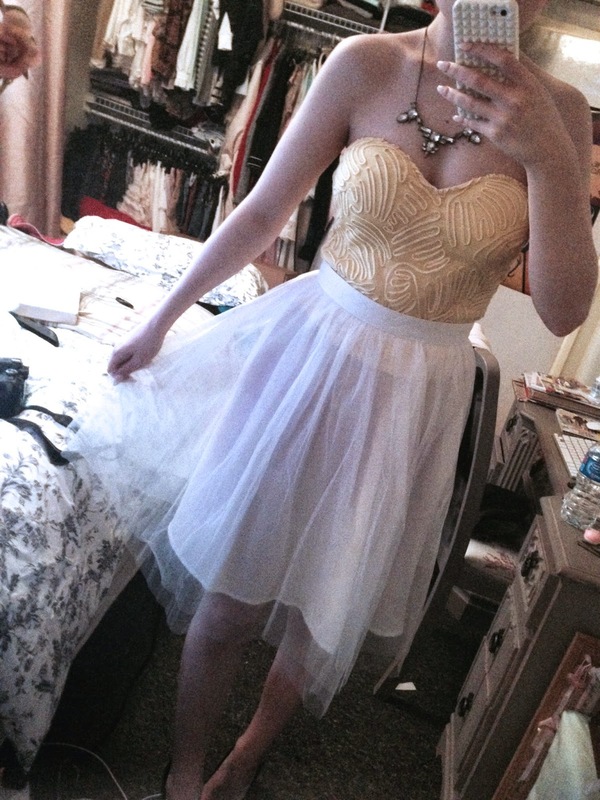 l0l im not 100% sure how I feel about the top.. Its an odd fit. Then again it might just be my body thats an odd shape. Its a little loose at my waist and so it gives a baggy look which makes me look a little bigger than I am.. however it fits a-ok around my bust and gives the illusion that its also bigger?..which isnt a bad thing……? 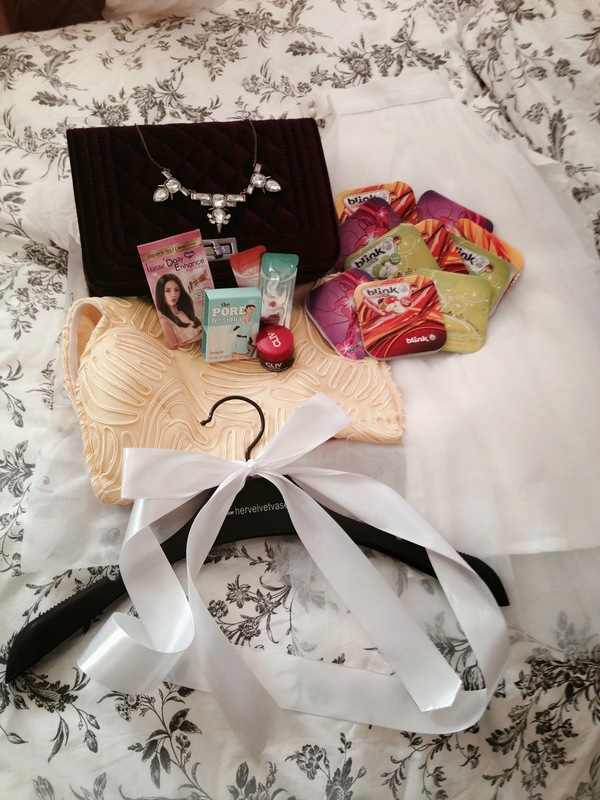 My favourite items in this box were the necklace and the bag! I love big shiny (borderline tacky) costume jewellery .. what can I say, im a bit of a magpie. 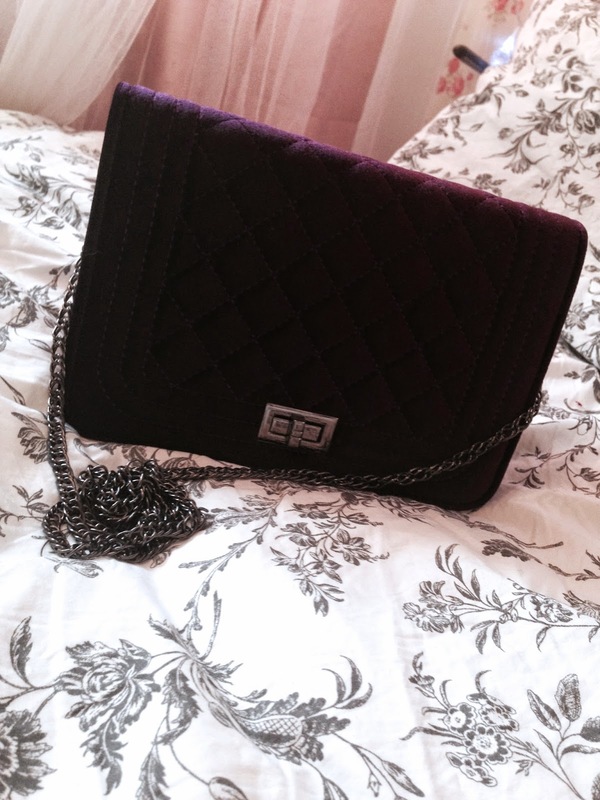 The bag is perfect for the winter months and I think I can match it to a good number of my clothes..and it has a chain but one that can be hid away so you can use it as a clutch. Which was your favourite item? Would you wear this outfit? If you are interested in getting a mood box you can read more here -> hervelvetvase.com/mood-box <- there are options for one off boxes or monthy boxes starting from S$50 to S$95 !